TNT will present a special edition of its weekly double header NBA broadcast on Monday. First up on Monday’s special double header broadcast is an interdivisional matchup in the Eastern Conference. The Knicks (18 – 22) will play host to the Hawks (22 – 17) in Madison Square Garden. Broadcast is scheduled to begin at 1 p.m. ET. Atlanta currently sits atop the Eastern Conference’s Southeast Division while New York sits third in the Atlantic division, 8.5 games back from the division leading Raptors. The numbers favor Atlanta coming into Monday afternoon’s game between the conference Eastern Conference opponents. Atlanta has gone 8 – 2 in its last 10 games and is 12 – 9 on the road so far this season versus its current 10 – 8 home record. New York has proven to be better at home so far this season with a 12 – 8 home record so far versus its current road record of 6 – 14. However, the Knicks are 2 – 8 in their last 10 games, having won their most recent game. So even though New York is great and home and Atlanta is better on the road so far than at home, the team’s long-term records combine with those records to favor Atlanta. The Denver Nuggets play host to the Orlando Magic at 5 p.m. in the second game on TNT’s Monday NBA on TNT double header schedule. Each team currently sits fourth in its respective division, and going by the numbers, this game is either team’s game to win and lose. The host Nuggets are currently 8 – 11 at home this season versus going 7 – 12 on the road so far. Denver has also struggled lately, going 3 – 7 in its last 10 games. Orlando is only slightly better on the road than they are on the road, going 10 – 11 so far on the road and 7 – 13 at home. ESPN has added another name to its roster as NBA pre-season camps open. 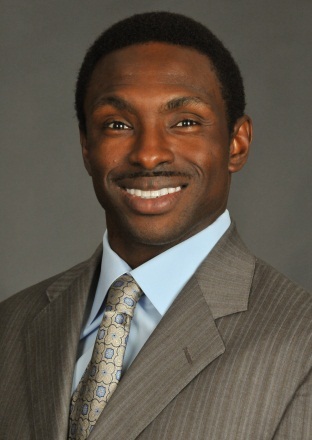 Avery Johnson has signed a multi-year deal with ESPN that brings him back to the network after having last worked with the “Worldwide Leader in Sports” from 2008-2010. His new deal will put him alongside the NBA’s 2012-2013 Coach of the Year George Karl in the ESPN studios. As with Karl’s new deal, Johnson’s deal with ESPN will see him joining the network as a studio analyst. He will make his debut Monday, October 21st. He will make appearances on SportsCenter, Coast 2 Coast, and NBA Tonight and other programs across ESPN as part of his new deal. Johnson brings with him to ESPN over twenty years of experience in the NBA. Seven of those years were as a head coach. Most recently, he served as head coach of the Brooklyn Nets. Before that, he took the Dallas Mavericks to the NBA Finals during the 2005-2006 NBA season, and went on to earn the title of NBA Coach of the year that same season. His coaching experience is just part of his extensive resume. He was also a point guard from 1988 – 2004. He served as starting point guard for the San Antonio Spurs in 1999. More information on this and other sports stories is available online at http://www.espn.com and http://www.facebook.com/ESPN. To keep up with the latest sports and entertainment news and reviews, go online to http://www.facebook.com/philspicks and “Like” it. Fans can always keep up with the latest sports and entertainment news and reviews in the Phil’s Picks blog at https://philspicks.wordpress.com. Denver Nuggets coach George Karl was named the NBA’s Coach of the Year during the league’s 2012-2013 season. Now he has another honor to add to his resume. 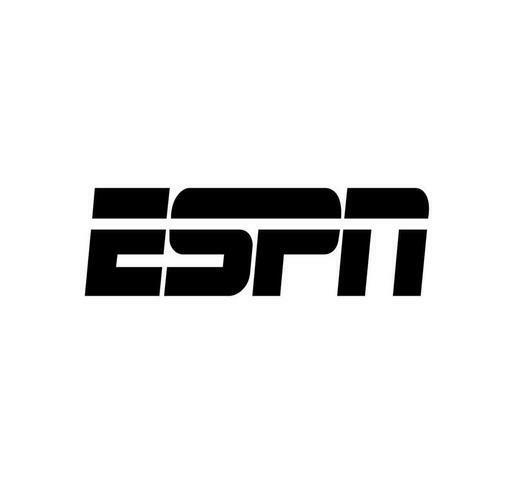 Karl, who previously served as a studio analyst for ESPN during the 2003-2004 NBA season, will return to the “Worldwide Leader in Sports” beginning this Saturday, October 5th. Karl will make his debut Saturday night during the 11pm edition of SportsCenter. His new multi-year deal will also see him serve as analyst on a number of other shows including Coast 2 Coast and NBA Tonight. Karl earned the honor of being named the NBA’s Coach of the Year after leading the Nuggets–the NBA’s third youngest team–to a 57-25 record during the 2012-2013 season. He is sixth on the all-time win list among NBA coaches, collecting 1,131 career wins. He has coached in the NBA for a total of twenty-five seasons, the last nine being served with the Nuggets. More information on this and other sports new is available online at http://www.espn.com and http://www.facebook.com/ESPN. To keep up with the latest sports and entertainment news and reviews, go online to http://www.facebook.com/philspicks and “Like” it. Fans can always keep up with the latest sports and entertainment news in the Phil’s Picks blog at https://philspicks.wordpress.com. NBA fans have plenty of reason to be happy this weekend. ABC and ESPN have seven games on tap this weekend. Three of those games will air on ESPN Friday night beginning with a matchup between the Knicks and Celtics. The Knicks will look to extend their two-game lead over Boston as the teams face off in game three of that series Friday night at 8pm. It will air on ESPN and ESPN Radio affiliates across the country. Fans can also catch the game online and via mobile access through WatchESPN and the WatchESPN app. Mike Breen, Jeff Van Gundy, and Heather Cox will have the call on ESPN. Marc Kestecher and Dr. Jack Ramsey will call the game for ESPN Radio. The game is scheduled to start at 8pm EST. The second of the night’s triple header sees the Spurs and Lakers face off in the third game of their series, too. The Spurs are up two games to none in that best-of-seven series. Injuries have plagued the Lakers, who are looking to get their footing again Friday night. The game is scheduled to start at 10:30pm EST. It will air live on ESPN and ESPN Deportes. Fans can also watch the game online and on mobile devices through WatchESPN and the WatchESPN app. Mike Tirico, Hubie Brown, and Chris Broussard will have the call on ESPN. They will be joined by Alvaro Martin and Carlos Morales for ESPN Deportes. Also at 10:30, the Warriors will look to break the one-game time with the Nuggets when the teams head back to Oakland. The Warriors come into Friday’s game with some momentum. The team as a whole shot nearly sixty-five percent and made 14 of 25 three-point shots. Four of the team’s players scored twenty points in game two Tuesday night. The Warriors have also outrebounded the Nuggets 91 to 71 over the course of the series’ first two games. The Nuggets are looking to regain some footing Friday night when they are hoping to get Kenneth Faried back in the lineup after having lost him in Game 1 to a sprained ankle. Friday’s matchup will air on ESPN2 and can be viewed online and on mobile devices through WatchESPN and the WatchESPN app. Dave Pasch, Jon Barry, and Holly Rowe will have all the action and news throughout the game. The weekend showcase closes out with a Sunday doubleheader pitting the Knicks and Celtics against each other again for Game Four in the teams’ best-of-seven series first. The game will air at 1pm on ABC and on ESPN Radio affiliates across the nation. 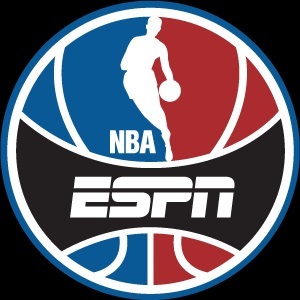 Mike Breen, Jeff Van Gundy and Heather Cox will be back to call the action again for the game, while Marc Kestecher and Dr. Jack Ramsay will have the call for ESPN Radio. The day’s second game tips off at 3:30pm EST. The Bucks are hoping to dig out of a two game hole right now with game three tonight at 7pm. Game four will be Sunday afternoon on ABC and ESPN Deportes. Mike Tirico, Hubie Brown, and Chris Broussard will be on hand for ESPN. Alvaro Martin and Carlos Morales will call all the action for ESPN Deportes. It all starts with the Kia NBA Countdown at 12:30pm EST. Hosts Magic Johnson, Bill Simmons, Jalen Rose, and Michael Wilbon will discuss the weekend’s previous games and their implications as the NBA post season rolls on, as well as Sunday’s games on tap. Fans can catch the Countdown on ABC. A full schedule of the weekend’s games is available below.